I've teamed up with British Military Fitness to try and encourage our kids to enjoy outdoor play this Spring, now that the weather is improving it's time to switch off the TV, put on some warm clothes and get out in the garden or go for a walk and get a good dose of fresh air and have fun whilst being active. We're currently landscaping our garden so we're out in it a lot and the kids love nothing more than to put on their wellies and get stuck in with some digging, planting and watering. They're helped us plant up most of the pots in our garden and they've even been helping Daddy build a wall. You don't need to have expensive outdoor toys for your children to have fun outside, our garden is pretty much empty at the moment while we work on it but the kids still find things to play with. They spent ages playing with some sticks that they found the other day, all they need is a bit of imagination and anything can be fun. They even had fun playing with the sand that my husband had ordered as building supplies, there are lots of adventures to be had whilst playing outside. Of course we always supervise them when they're out there to make sure they're staying safe but they thoroughly enjoy it and would be out there all the time if we let them. 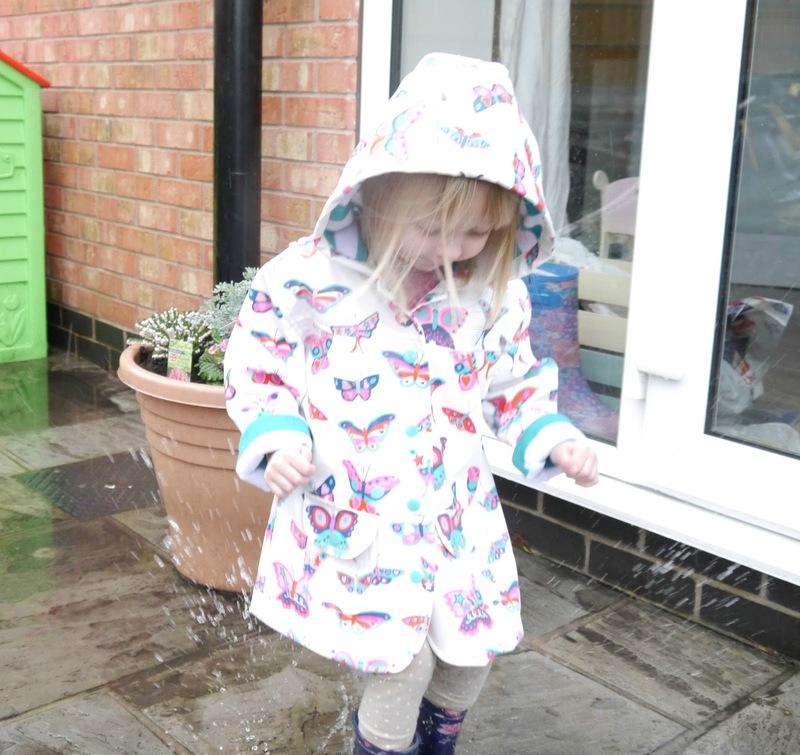 Even if it's raining they can still have fun outside, as long as they have some wellies on and a waterproof coat they can splash in muddy puddles to their hearts content. If your kids usually play inside why not try and encourage them to go outside and explore, I'm sure they'll enjoy it and you'll have the peace of mind of knowing that they've got some fresh air and maybe even more importantly that they'll be tired out come bedtime. To celebrate the launch of our Spring Into Action campaign, BMF are giving you the chance to win an outdoor family adventure day at Go Ape for the whole family and a BMF fitness pass for three months.